Code Geass: Lelouch of the Rebellion, often referred to as just Code Geass, is a Japanese anime series directed by Gorō Taniguchi, and written by Ichirō Ōkouchi (with many adaptations). Set in an alternate future, the series focuses on how the former prince Lelouch Lamperouge obtains a power known as Geass and decides to use it to obliterate the Holy Britannian Empire, an imperial monarchy and a superpower that has been conquering various countries. This tag should be used in questions regarding Code Geass: Lelouch of the Rebellion, including both seasons of the anime and the various adaptations. 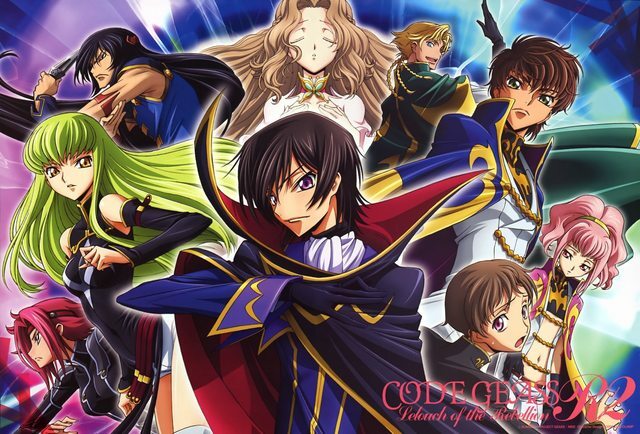 It also includes the various other versions of the story including Code Geass: Suzaku of the Counterattack, Code Geass: Nightmare of Nunnally, etc.